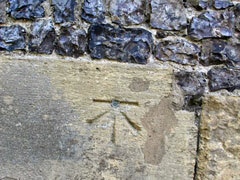 An Ordnance Survey benchmark carved into the wall of Saint Mary's Church. 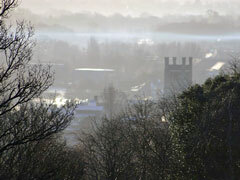 A view of Saint Mary's Church in Henley one winter's morning taken from The Mount. 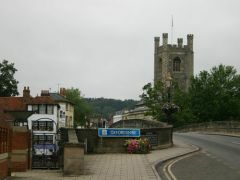 Saint Mary's Church and Henley Bridge as seen from the Regatta Headquarters. 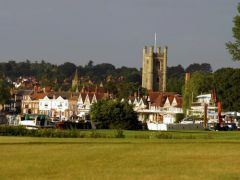 A view of Saint Mary's Church and Henley Bridge taken from outside the white office building on the Remenham side of the River Thames. 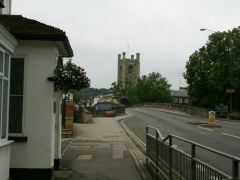 Saint Mary's Church towers magnificently above the River Thames and Henley. 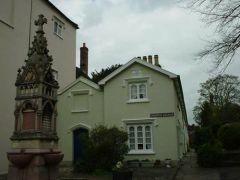 The fountain that sits outside Saint Mary's Church in front of Church Avenue. 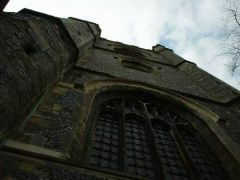 This picture shows the main tower of Saint Mary's Church.